This new lens will be available in store from March 2011 and offers the latest optical design technology. 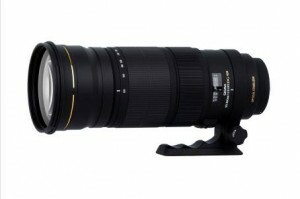 The large aperture zoom lens features Sigma’s OS (Optical Stabilizer) function and weather-resistant design throughout for use in harsh conditions. One SLD (special low dispersion) and Two FLD (highest level low dispersion glass available with extremely high light transmission) glass elements are used for maximum correction of chromatic aberrations. The super multi-layer lens coating reduces flare and ghosting, and the lens design incorporates an inner focusing and inner zooming system to ensure sharp images throughout the entire zoom range. Improved optical performance provides excellent correction of sagittal coma flare, and ensures ultra-high resolution, comparable to a fixed focal length lens. The optical stabilizer function offers the use of shutter speeds approximately 4 stops slower than would otherwise be possible. This system enables hand-held tele-photography. Incorporation of HSM (Hyper Sonic Motor) ensures quiet and high speed auto focus, while allowing full-time manual focus override. The rounded 9-blade diaphragm creates an attractive blur to the out-of-focus areas of the image. The addition of the optional APO TELE CONVERTER produces an ultra telephoto zoom lens with auto focus. Minimum Aperture F22 Dimensions Diameter 114.4mmxLength 289.2mm / 4.5in.x11.4in. For Nikon and Canon mounts, Optical Stabilizer (OS)function will not work with film SLR cameras except Nikon F6 and Canon EOS-1V. * FLD glass is the highest level low dispersion glass available with extremely high light transmission. This optical glass has a performance equal to fluorite glass which has a low refractive index and low dispersion compared to current optical glass. It also benefits from high anomalous dispersion. These characteristics give excellent correction for residual chromatic aberration (secondary spectrum) which cannot be corrected by ordinary optical glass and ensures high definition and high contrast images.